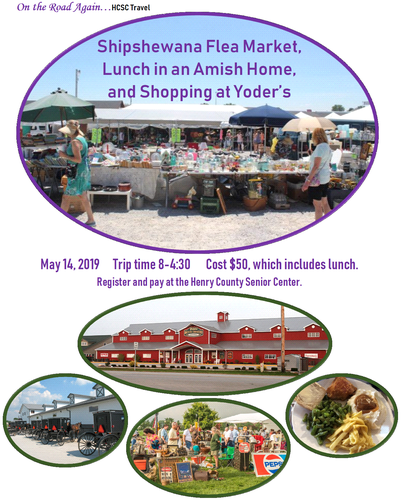 Bus trip to Shipshewana for the flea market, a meal in an Amish home, and shopping at Yoder's. Open to all Henry County residents 60+. Register and pay at the Henry County Senior Center. Cost $50, which includes lunch.